Best Kodi Alternatives Of 2018 - Which One Would You Chose? Why will you ever need Kodi alternatives? To access media files including audios, videos and images on many different devices have become the primary need of each one of us. In today’s on-the-go world, Kodi is one of the most popular applications that provide some of the best features to access media files via a connected network on different devices. To add jelly on the top, Kodi offers live TV streaming too. You can quickly set up a large variety of add-ons to increase channels, movie streaming sites and games in your Kodi programming. Its open-source nature makes it very simple to obtain. Although we all love Kodi and cannot think to replace it with any other option, it is always useful to know Kodi alternatives might be available. Unfortunately, this excellent entertainment opportunity is not available for everyone. Many found it a headache to setup Kodi and always stuck in the process. As a result of increased pressure from copyright holders and ISPs, many third-party add-ons are no longer working. Plus, more and more add-ons are being shut down every day due to illegal and copyright issues. ✎ Read Also: 6 Best TVAddons.ag Kodi Fusion Alternatives That Work! Another reason for searching alternatives to Kodi is the changing dynamics of the industry. Change is the rule of nature; with advancement in technology, people want more alternatives to Kodi to support various platforms. And, just to let you know, there are serious court cases against Kodi. However, it’s important to understand that Kodi software is not illegal at all. The main problem is in the way people use it. Since Kodi is not unlawful to use, but still there are concerns over the sale of “Fully-loaded” Kodi boxes which comes with third-party add-ons. These third-party add-ons allow users to illegally access Premium music, movies, sports and live TV channels. Price: Free and Paid (Premium subscription begins at $4.99 per month for extra features). Plex surely deserves the first sport in Kodi alternatives list. 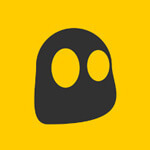 It is quite similar to Kodi, and most of Plex features are relatable to Kodi. It is also open-source software which is easier to access compared to Kodi. Plex is free, but if you want to go for upgrades in the service, it will cost you some amount. Plex supports all kind of OS and devices that is why it is one of the best Kodi alternatives for fire stick and Kodi alternative for Roku. We would recommend you to move to a premium plan to experience some of the most exceptional features of the service. Emby is a media streaming source which is quite similar to Kodi. It was first launched as the Media Browser, but now you can various applications of Emby which are very convenient to use. Emby is one of the most popular Kodi alternatives for streaming. Emby comes with cloud syncing which mean you can forget all about the messy file manager and leave everything to Emby. Emby supports all types of devices so if you want a Kodi Alternative for Android, then Emby is here for you. It is also absolutely free, but for the upgrades you will need to pay some amount. 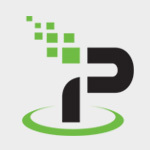 Media Portal is also another favorite alternative to Kodi. It is one of the best places to stream any media file. It is exceptionally well appreciated for its Live TV streaming feature. On Media Portal, you can not only watch the Live TV streaming, but you can also record it for later. With this incredible alternative, digital video recording is up for you at any time. Record your favorite programs; save it in DVD or a Pen drive and watch it over and over again. Media Portal is one of the best Kodi Alternatives for Windows. It is entirely free to use. 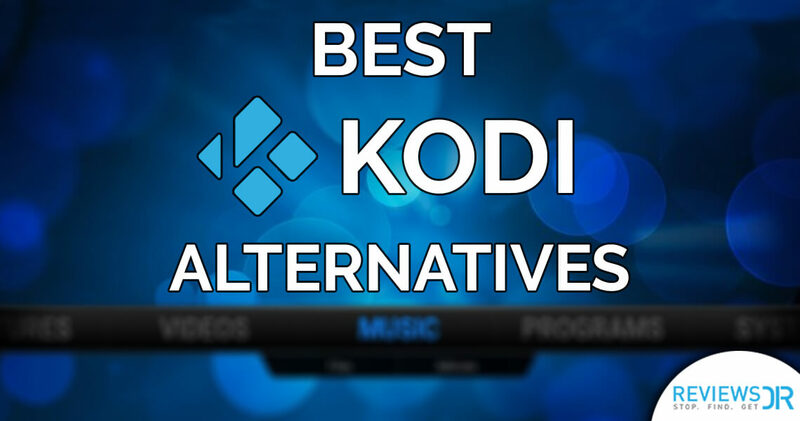 So, finally we have another option in our list of best Kodi Alternatives for 2017 which is free, and you do not need to spend a single penny to use its premium features. Let us introduce you to Universal Media Server. Universal Media Server is a simple application that focuses remains upon making your streaming experience an extraordinary one. It supports almost all interfaces, but its UMS is not supported on Android and iOS devices. This is one drawback which makes it unsuitable for best Kodi Alternatives for Android and iOS. From music to movies, you can find everything here. You can also use it with multiple devices without any hustle-bustle. As the name says it, OSMC is the simplest and most convenient option in the list of Kodi Alternatives. It is so viable and easy-to-use that people prefer to use it instead of Kodi. Not to mention, OSMC can easily attach your media files from the local network to access on any device connected to the network, just like Kodi. You can store and access any media file including music, video, image and live TV streaming. The best feature of OSMC is WiFi support. One of the biggest drawbacks of OSMC is that it doesn’t support Windows, Mac, Linux or any other simple interface except for Raspberry Pi, Vero, and Apple TV. If you want a simple, one-click and free solution as Kodi alternatives, then Popcorn Times is the best choice. Popcorn Time is a multi-platform, free software BitTorrent-client that runs an integrated media player to offer you movie streaming. Popcorn times is a lot different in many ways when compare it to Kodi, but it serves the same purpose as Kodi, providing unlimited entertainment to its users. To use Popcorn Times, you need a USA IP. Since it is a P2P based service, therefore, a lot of online threats are attached to this online service. We highly recommend you to use a VPN with Popcorn Times to avoid copyright infringement notice. You can access Popcorn Times on your PC, Mac, Linux and Android devices. The service is not available for iOS. Unlawful pirated-streaming via third-party Kodi add-ons and apps have created a lot of buzz in the last couple of months. Due to this reason, a lot of Copyright trolls in the USA, UK, Canada, and Australia are lurking online to crack down such streamers. It is highly recommended to use encryption and hide your IP address whenever you go online. With a VPN, your original IP is entirely invisible from everyone on the internet. All your data is encrypted and routed through secure tunnels making it impossible for lurkers to track your digital footprints. All you have to do is to sign-up for a VPN subscription and download the app on your device to use it. You can also change your IP location to access blocked content online. Here’s our pick of top 5 best VPN services for your streaming needs.